Seemorerocks: Early spring rainfall warms up the bog and promotes the growth of plants and methane-producing microbes. Early spring rainfall warms up the bog and promotes the growth of plants and methane-producing microbes. 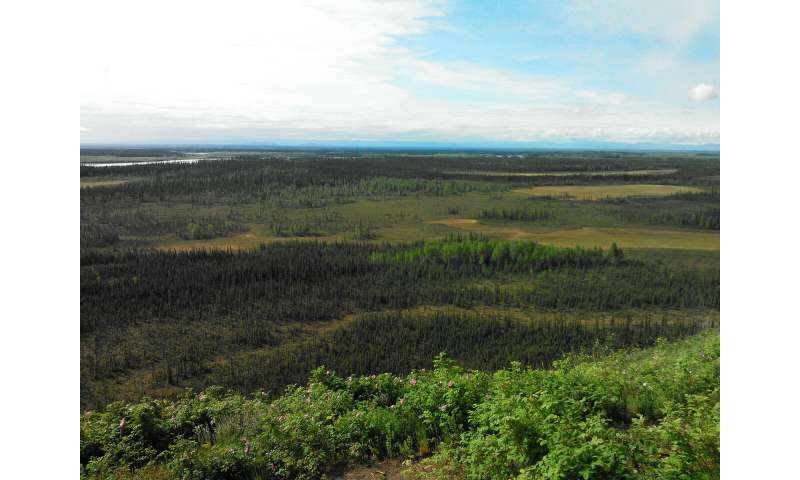 Now a University of Washington-led team has found a new reason behind increased methane emissions from a thawing permafrost bog in Alaska: Early spring rainfall warms up the bog and promotes the growth of plants and methane-producing microbes. The team showed that early precipitation in 2016 warmed the bog about three weeks earlier than usual, and increased the bog's methane emissions by 30 percent compared to previous years. These results were recently published in Geophysical Research Letters. "In general, the chance of generating methane goes up with increased rainfall because soils get waterlogged. But what we see here is different," said corresponding author Rebecca Neumann, an associate professor in the UW Department of Civil & Environmental Engineering. "Early rainfall sent a slog of warm water moving into our bog. We believe microbes in the bog got excited because they were warmed up, so they released nutrients from the soil that allowed more plant growth. Methane production and emission are tightly linked with soil temperature and plant growth. "Our results emphasize that these permafrost regions are sensitive to the thermal effects of rain, and because we're anticipating that these environments are going to get wetter in the future, we could be seeing increases in methane emissions that we weren't expecting." "We saw the plants going crazy and methane emissions going bonkers," Neumann said. "2016 had above average rainfall, but so did 2014. So what was different about this year?" The warm soil aids microbes living in the bog and speeds up their metabolisms. Normally microbes use oxygen to break down organic matter, and they release carbon dioxide into the air. But in waterlogged soils, like a bog created by permafrost thaw, there's no oxygen around. So the microbes have to use whatever is available, and they end up converting organic matter into methane. "It's the bottom of the barrel in terms of energy production for them," Neumann said. "The microbes in this bog on some level are like 'Oh man, we're stuck making methane because that's all this bog is allowing us to do.'" In addition, sedges contain hollow, air-filled tubes that allow oxygen to flow from the air to their roots. These tubes also allow the microbes' methane to escape the bog and enter the atmosphere. "The plants are really doing two things," Neumann said. "They're providing yummy carbon that lets the microbes make more methane than they would have otherwise. The plants also provide a conduit that allows methane to escape into the atmosphere. They're a double whammy for methane production and emission." "In general, the ability of rain to transport thermal energy into soils has been underappreciated," Neumann said. 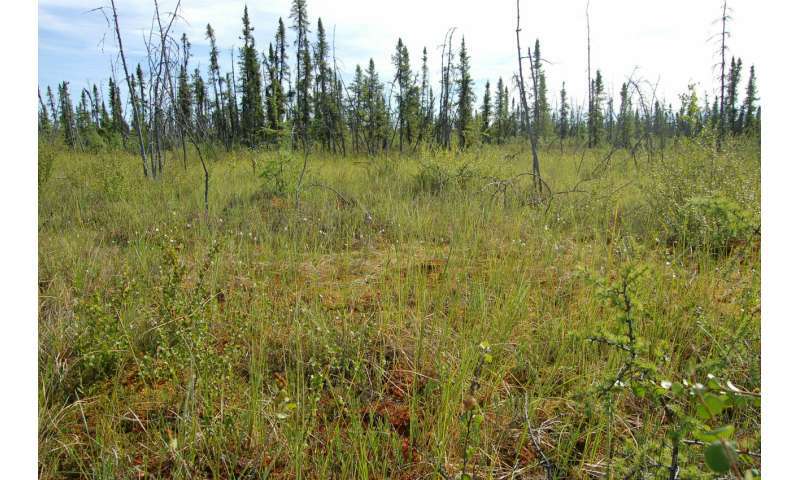 "Our study shows that by affecting soil temperature and methane emissions, rain can increase the ability of thawing permafrost landscapes to warm the climate."